3. 'Xin' Cha - this is the Chinese term for awakening your tea. I believe that pu erh tea needs awakening at certain times. Let me explain. a). you would have read from the tea forums that many pu erh tea drinkers that had bought tea online found that their tea tasted better after letting the tea rest for 1-2 weeks. When your tea had travelled for many miles and spent some time flying by air before your order reached your doorstep, it might be possible that your tea went into a moment of 'hibernation' and needed time to stabilise. I cannot provide a scientific explanation for this phenomena, but many of my tea friends 'swore' that tea was better after some time of rest. b) I also propose that you break up your cake, too or brick into small pieces and store your tea in a tea caddy for 2 weeks before you start on the tea. You can do simple inexpensive experiment where you break up half a cake of your tea and place the tea pieces in a tea caddy. Do a comparison testing after 2 weeks. 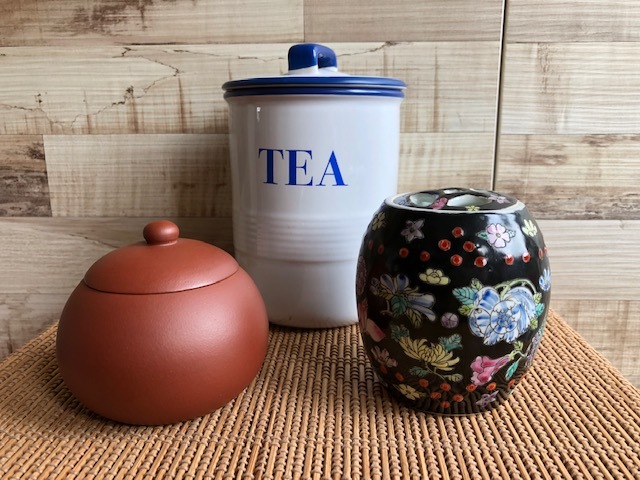 I am also unable to provide a scientific explanation, but tea stored in a tea caddy is more aromatic and tasty compared if you break off a piece of tea and brew up the tea. 4. Attend or have a small group pu erh tea session. Many of us are 'home alone' tea drinkers. We tend to brew and drink tea at home. It easy and comfortable to drink tea alone at home. You choose your time and brew whatever tea you like, whatever way you like; gaiwan or teapot and no one will say anything. You buy your tea on the internet from round the world and may even participate in tea forums giving your thoughts on the tea. But I recommend that you join or conduct small pu erh tea drinking groups. It is fun to share your knowledge on tea and at the same time, actually get to 'socialise' literally. You get to see the different interpretations of tea in terms of tea brewing, tasting and other stuff like storage. Do a tea exchange. Yes, tea can be appreciated alone but as a group it is just as fun. It is sad that many of us are 'busy' in this present 4G society. We have more friends and followers on the internet, but to have friends that sit right across a table is more meaningful, in my opinion. Yes, there will be many things you may be uncomfortable or disagree when you have a tea session with fellow tea friends. It is all in good fun. Invite me to one of your tea sessions. Who knows I will really appear. By the way. I intend to / hope to visit my Czech And Scottish tea friends real soon. They do not know it yet.